This Manicure Tin will ensure your nails look their best at all times. 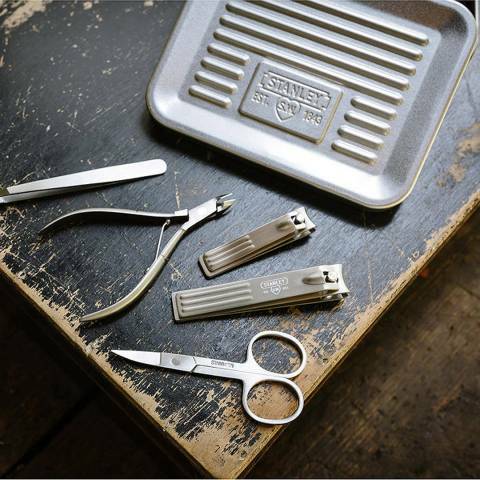 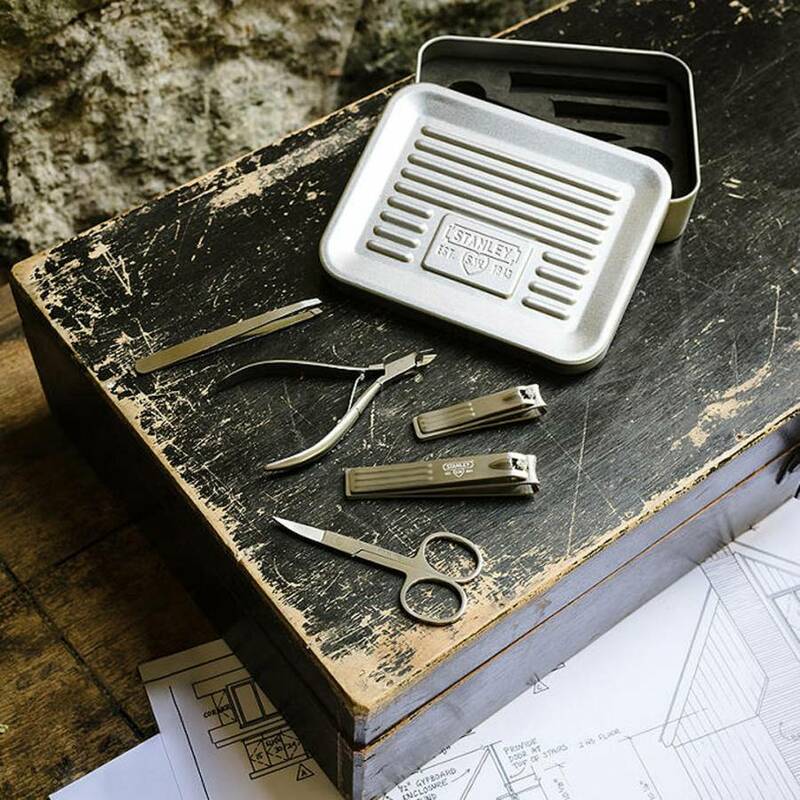 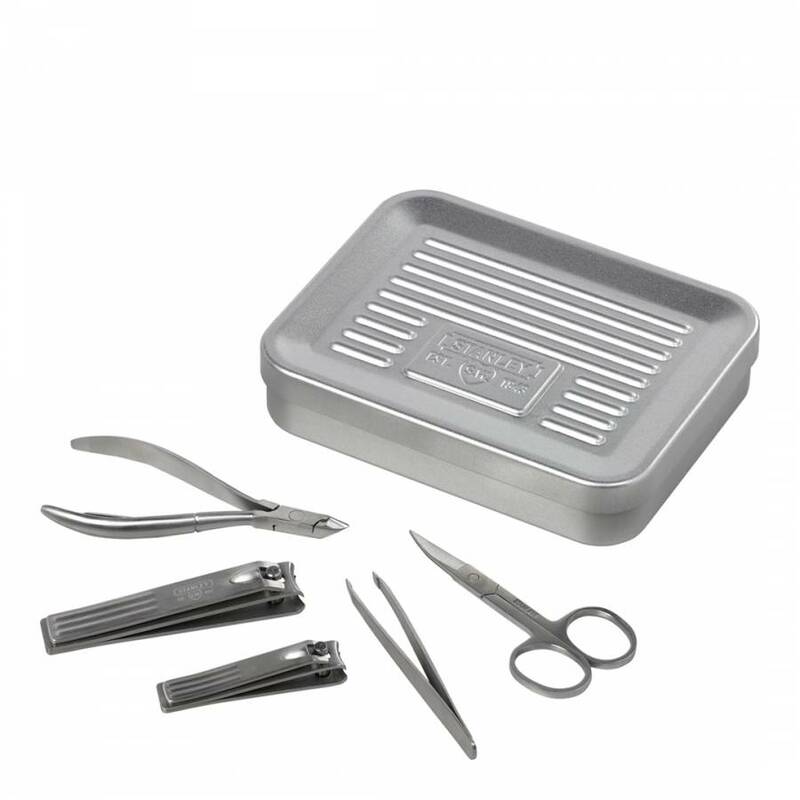 The set comprises of five silver stainless steel tools, nail scissors, large nail clippers, small nail clippers, tweezers, cuticle and nail nippers. 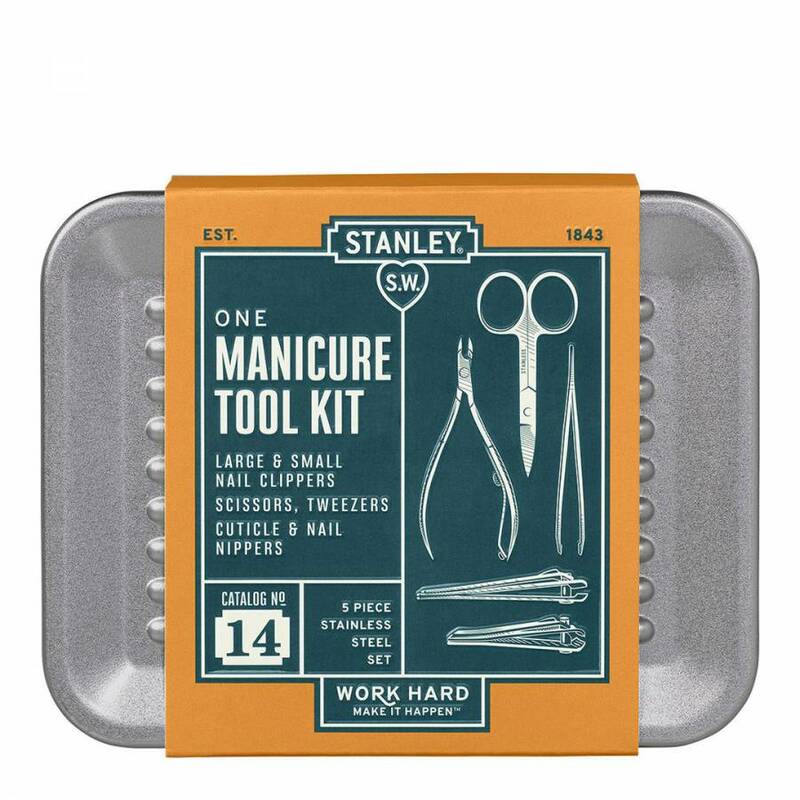 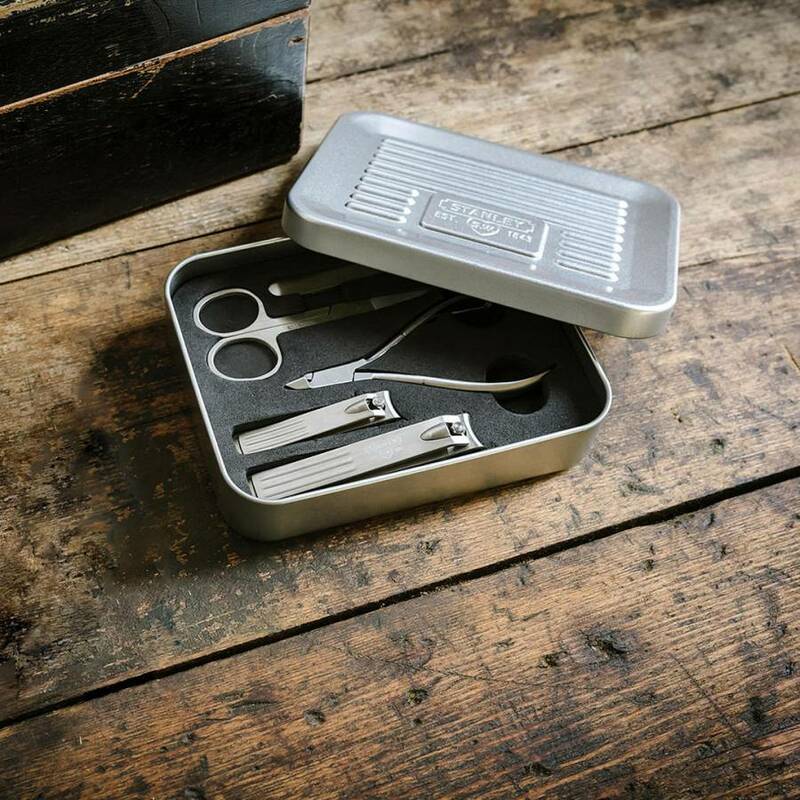 Presented in a STANLEY branded gift tin, this practical and stylish manicure set offers everything a man needs for his nails.